Happy Veterans Day! And, because it's 11.11, you should totally make a wish! 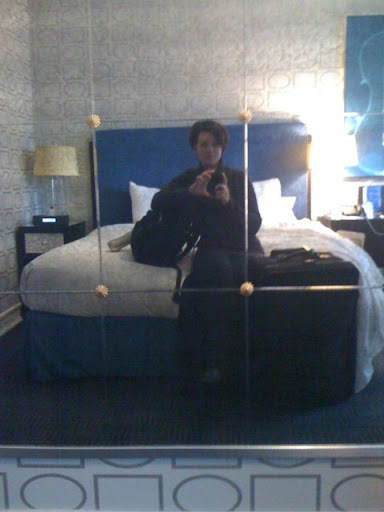 Here's a picture of me in my super-cute hotel room at the Allegro in Chicago. I'm with my two intrepid non-human travel companions: sure, we're all a lite heavier than we should be, but hey! More of usto love! Right? 1. Sparkling conversation. Especially nice when I can mostly listen. 2. Mashed potatoes and gravy. So worth the resulting nightmares. 4. Reconnecting with old friends. 5. Good travelling buddies, of both the human and non-human sort.